This workshop is now closed. Dr Ross Greene is our next event. Details here. 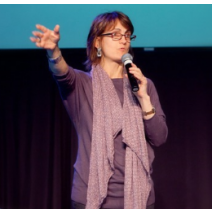 Our Tip: This is the perfect workshop to give you the best overview of Social Thinking. It’s meaty enough to give professionals who use the Social Thinking methodology additional training and it’s the best introduction to those interested in using the approach. This is Michelle’s most popular workshop she presents in the USA. Added Bonus: We are limiting ticket sales to 100 participants seated at tables. We are doing this to make this workshop an intimate experience, enabling participants to have as much opportunity as possible to interact closely with Social Thinking’s founder, Michelle Garcia Winner. A rare opportunity! Workshop overview: It’s time to get practical! Using Social Thinking’s Social Competency Model, learn to guide individuals to better socially attend, interpret, problem solve and respond to social information. Explore how to teach three core treatment-based frameworks and more than 20 unique strategies based on Social Thinking Vocabulary and related activities. You will learn how to teach students to better interpret and respond to their social world by making smart guesses to discover hidden social rules. You will learn systematic and logical ways to encourage social responsibility by learning about our own and others’ social thinking. 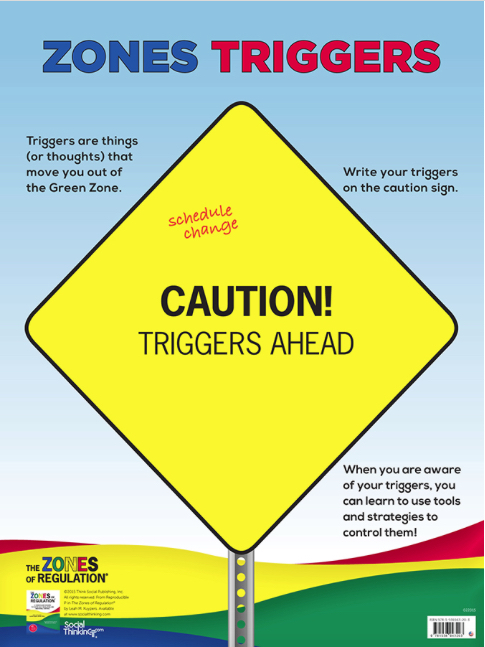 You will explore how our thinking about a situation and what we know about others can help us create the expected behaviours that support our relationships. Finally, you will learn how we make these abstract concepts more concrete by reviewing a variety of activities through clinical examples. 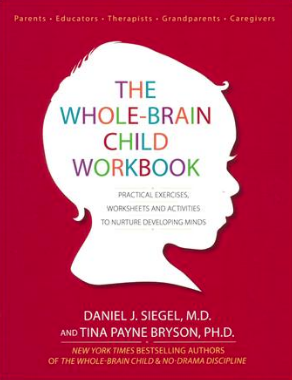 Motivational developmental tools such as our We Thinkers! Early Learner curricula for 4-7 year-olds, You Are a Social Detective! 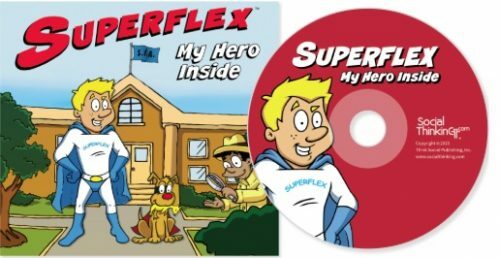 and Superflex… a Superhero Social Thinking Curriculum will also be reviewed to help participants see how these materials teach key lessons. Participants will work in groups to learn how to use Social Thinking concepts to create their own lesson plan. We explore how to make lessons applicable across a variety of environments and focus on enabling students to apply these lessons in their lives. Most lessons are further explained in the book Think Social! A Social Thinking Curriculum for School-Age Students (Winner, 2005), which is used in schools around the world. Describe why the context or situation is key for figuring out social expectations and related social skills. Describe the core steps of Social Behaviour Mapping to help teach social responsibility. Define at least five (5) Social Thinking Vocabulary concepts. Describe how Social Thinking Vocabulary concepts facilitate generalisation across settings. Describe the difference between sharing an imagination and a singular imagination and their relationship to conversations and reading comprehension. The workshop will be held at Hadley’s Orient Hotel, 34 Murray Street Hobart, Tasmania 7000, in the centre of Hobart. You can book accommodation at the venue and the venue website is here. All workshop tickets are purchased via our website only. The website accepts Purchase Orders, bank transfers, credit/debit cards and PayPal. Further explanation on “How to Order” tickets using our website can be found here. Professional rate tickets. All Professional Rate tickets receive a certificate crediting you with 6 professional development hours. Parent/Student rate tickets. There are a limited number of Parent/Student tickets available. These tickets are for parents of children with social cognitive difficulties, diagnosed or undiagnosed, who do not work in the field covered by the workshop and want to further their understanding to support their child. University or TAFE students undergoing full-time training to work in the field covered by the workshop are also eligible for this rate. This ticket rate is not available for people who can use the information gained from the workshop in their employment. Parent/Student tickets DO NOT receive credit towards professional development obligations and are only available during the Early Bird period which ends 31 October 2018. We have a few tickets left and have extended the Early Bird period until 18 November 2018 to let people take advantage of the cheaper rates. Rates rise 18 November 2018. You can purchase tickets with catering or without catering. Note: All Professional Rate tickets receive a certificate crediting the attendee with 6 workshop/contact hours towards their professional development obligations. Workshop Professional Rate NO Catering $399 (1 day no catering) Standard Rate. Some Tickets Still Available. Workshop Professional Rate WITH Catering $441 (1 day with catering – includes Morning and Afternoon Tea and lunch) Standard Rate. Some Tickets Still Available. Note: Parent/Student tickets receive no Professional Development credit or certificate. Limited tickets available at this price. Overseas pricing displayed on the website does not include GST as it is not applicable. Standard rate pricing commences 18 November 2018. Parent/Student rates DO NOT include a certificate crediting professional development hours. Venue capacity is limited and we expect tickets to sell out early. Our Workshop Refund and Cancelation Policy is here, in purchasing a ticket you are deemed to have accepted our Workshop Refund and Cancelation Policy. How is the training delivered? All workshops will be delivered via a combination of lecture with accompanying handouts, review of clinical applications via video, and audience questions. Who is the training suitable for? These workshops are suitable for (but not limited to) health professionals, psychologists, therapists, counsellors, social workers, speech language pathologists, occupational therapists, teachers, teacher aids, disability workers, autism specialists, policy makers and administrators, juvenile justice workers, child protection workers, mental health practitioners, youth workers, residential and respite care workers, chaplains, nurses, child behaviour specialists and of course parents and carers. There are no prerequisites to attending these workshops. Anyone interested in the workshop content is welcome to attend, however you do so under your own volition. You can choose to purchase tickets WITH Catering or WITHOUT Catering. If you purchase a ticket with catering it includes morning and afternoon tea and a working style lunch. There is a space to provide your dietary requests when registering. There are numerous food outlets and cafés within close proximity to the venue and time has been allocated for participants to go out for food and refreshments at break times. You are also welcome to bring your own lunch if you prefer but you can’t eat in the theatre. Water/water bottle, pen and notebook/device, if you do not purchase catering, you might like to bring lunch and snacks (you will also have time to buy lunch), don’t forget that water bottle. Do I get a Certificate of Attendance? At the conclusion of the workshop all those who purchased Professional Rate tickets will receive a certificate crediting you with 6 workshop/contact hours. Please ensure you collect your certificate before departing the venue. Parent/Student tickets DO NOT receive credit towards professional development obligations and do not receive an Attendance Certificate. What is our workshop refund and cancelation policy? Our Workshop Refund and Cancelation Policy can be found here. I’ve booked but never received my receipt by email. Please check your Spam folder. If you are a Gmail user, please also check your “Social” and “Promotions” tabs in your Inbox. Send your question to us via info@socialmind.com.au or via our contact form here. You can call us on (02) 5105 5262.